Life is different for everyone and although there are many things that we may enjoy about life, there are also certain things that we may find annoying. For example, listening to someone drag their fingernails down the chalkboard is enough to send most people screaming out of the room. Other people may be annoyed by a wide variety of things and they may even have some phobias that go right along with them. One of the annoyances that many people suffer with on a day-to-day basis is listening to people chewing. I’ll be the first one to admit that somebody who does not chew properly or chews with their mouth open are a little bit annoying, but the problem may go far beyond that. For some people, it is more than a common annoyance and it ends up affecting their life and can even keep them from enjoying their meal. 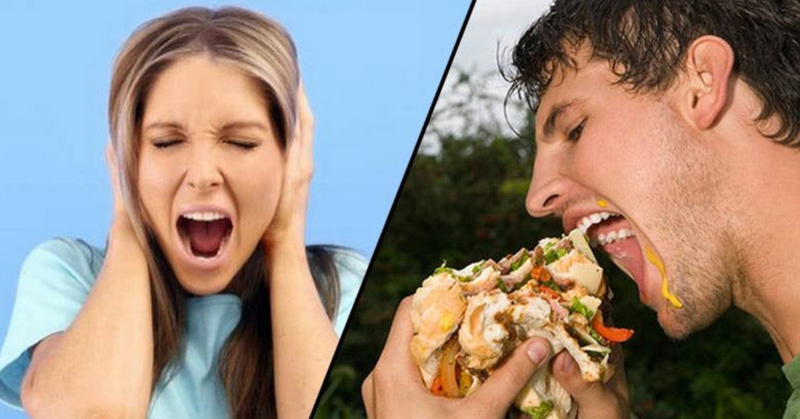 You might be surprised to learn that the annoyance of listening to somebody chew their food is relatively common. If you are somebody that has a difficulty blocking out somebody who is chewing nearby, it may be more than a simple annoyance. In fact, there is a specific neurological disorder that is known as mysophonia, and it leads to this problem. Not only might it cause a person to be irritated over the sound of somebody chewing their food, it may also be an irritation when somebody is biting their fingernails or chewing gum as well. If you would like to learn more about mysophonia and perhaps discover why you may have such a hard time with people chewing, it is reviewed in the video below. It talks about how that sound involves our central nervous system and how it could even lead to an anxiety attack.